i have a john deere 870 that is barn kept. i use about once or twice per week. i went to use over the weekend and i could not put it in any gear when started. you can put the clutch all the way down and it will not go into any gear. there has been no problems up to this point and i used it about 1 week ago. does anyone have any suggestions of what could of happened in such a short time. i was very suprised because i take very good care of this tractor. any thoughts would be appreciated. If you have not gotten this solved by now you probably are bonkers. I have an 870 and several years ago I had the same problem. Someone on the forums was familiar with this problem and I believe they said moisture can cause the clutch plates to stick together when the tractor sits idle for awhile. When you then start it up, you won't be able to shift it into any gear because the clutch is not released (even though you've pressed on the clutch pedal) and the synchronizer rings won't let the gears engage. I believe the solution was to put the tractor into 1st gear with the engine off, depress the clutch pedal and have someone give the tractor a slight bump forward or backward to free the sticking clutch plates. They also mentioned they used a board to keep the clutch pedal depressed when they were going to let the tractor sit for awhile to keep it from happening again. 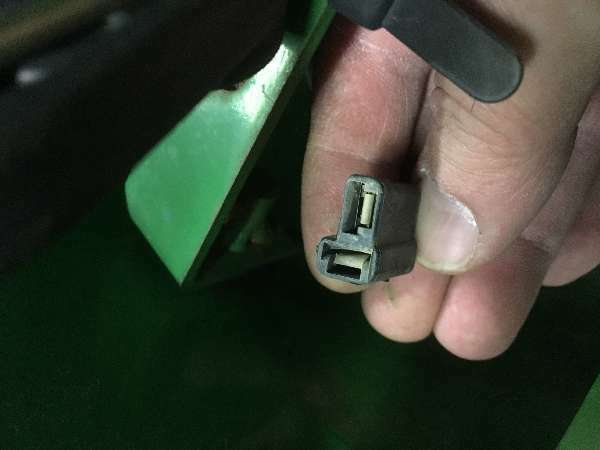 I had the same problem on my JD 750 a few years back and the problem was caused by moisture (aka rust). Basically the clutch rusted to the flywheel. Depressing the clutch didn't do anything, so it was very difficult getting it into gear. I used the backhoe to lift it off the ground and that allowed me to get it into gear without to much hardship. Once running the clutch became free from the flywheel. This happened several times before I installed a new clutch/pressure plate. When storing the tractor keep the clutch depressed (clutch plate will not be against the flywheel). I did find some info in the owners manual stating to depress the clutch for storage... Live and learn.